If you think catalogue printing is no longer effective, then think again! With the rise of online media and the huge number of blog posts used for marketing these days, you may not think catalogs can still generate sales. But actually, they still can. DFW Printing Company can prove that catalogues are as effective as they were back then. You just have to do it right. With our help, you can create this type of marketing tool with compelling narratives that stand out. Short-run: ideal for small businesses and individual customers needing small quantity orders (between 25-150 pieces). In the Dallas and Fort Worth areas, catalogs provide an effective means for businesses wanting to showcase their products or services in a single publication. Because catalogs provide detailed information about products plus images, ordering and contact information, it provides everything that a customer needs to know, in a convenient and portable package. DFW Printing offers high quality online catalog printing that dazzles. Imagine receiving stunning color photos prints on premium paper on your doorstep within 4 to 7 business days (from the time of proof approval). Catalog Printing has never been easier! ​​Just Call us at 214-977-7458 or use the form below to get a quote for your cataloge! All of our binding options are suitable across a broad range of applications, such as for product promotions, business presentations, service offers and academic publications. Saddle stitch binding: after the pages are collated, the catalogs are bound using two staples along the fold. This style works best with catalogs containing 52 pages or less. Wire-O binding: this method is often used for books and formal catalog presentations. A wire gets looped through holes in the pages, which allows for a 360-degree rotation of all pages. Plastic coil binding: often used for reference catalogs and manuals, this replaces wire coiled binding with a plastic variation. Perfect binding: used for magazines, catalogs and booklets that need a flat spine. DFW Printing also offers custom printing on the flat portion of the spine. Custom catalogs display and promote your products and services with pictures and images that attract attention. Having your catalog sit on a desk or coffee table to be seen by customers and anyone else who might come in contact with it, is value added. ​We understand that catalogs are on of the most critical sales pieces and also the face of the company and brand - that's why we are equipped to produce the highest quality catalog for your. Here at DFW Printing in Dallas, TX, we provide our customers with outstanding quality and services to ensure the best possible products for our clients. We offer various sizes, quantities and finishes. Choose from different covers, bounds and mailing options. Contact us today to talk about your catalog needs. 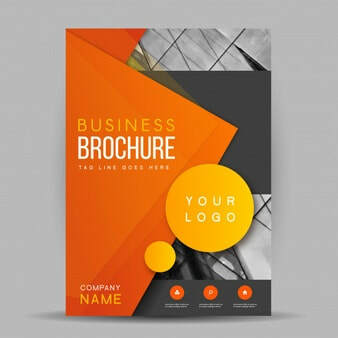 ​​Need other print marketing materials? See all options here. Living in the digital age is not an excuse to stop using this form of print advertising. Digital platforms are saturated with online marketing materials. What makes printed media, like catalogs, any different? This means your customers can touch and carry them around. They can put marks on areas or texts that caught their interest, put them aside, and pick them up later on for review. As for online materials, they tend to get buried underneath all other online deals your customers receive each day or, probably, each month. It may take a while before they find them amid all their emails, while printed catalogs are physically visible, just waiting to be checked when clients want some items ordered. They showcase your products effectively. Catalogues allow you to print premium-quality images that are appealing to the tastes of your target market. This is where you can tell a vivid story, as you put into details the features, specifications and other important elements your products offer. But take caution though, as this may either make or break your success. If you use a sub-standard printing service, the quality may suffer. Ordering our premium-quality catalogues is your best bet. They reveal your commitment to your clients. Printed in high quality, you give your audience the impression that you do not skimp on quality, even if it can be pricier than other print ads. Ordering from a top caliber catalogue printing company shows your commitment to your business and how you will not settle for anything less than providing quality materials. Perhaps, that is the reason why we have not given up on providing you with quality catalogues. With the right content added into the mix, these can be as effective as they can be and will significantly boost your sales. They go hand in hand with your SEO strategy. Did you know that you can target keywords effectively with printed catalogs, too? Once you add relevant content and tell a story, you can make a breakthrough and grab a significant share of attention. With your juicy digital content combined with our unparalleled dedication to quality printing, you can have greater chances of attracting more clients leading to higher ROI. Effective storytelling can help re-invent your catalogues. Have you wondered why top brands still send out such print adverts month after month? It's because they provide a vivid picture of how their products would look like when placed where they should be put. Also, they give a good idea of what products would look good on a user. The secret is to avoid skimping on costs when printing. Talk to us. We are dedicated to quality catalogue printing and will deliver the results you need. Believe us, you will not look at catalogs the same way again once we reinvent your own powerful narratives and add quality images. DFW Printing aims to transform the way you create effective marketing tools. Our catalogs come in various sizes that are perfectly suited to your requirements. Operating since 1969, we are one of the highly dependable printing companies in the North Texas area.